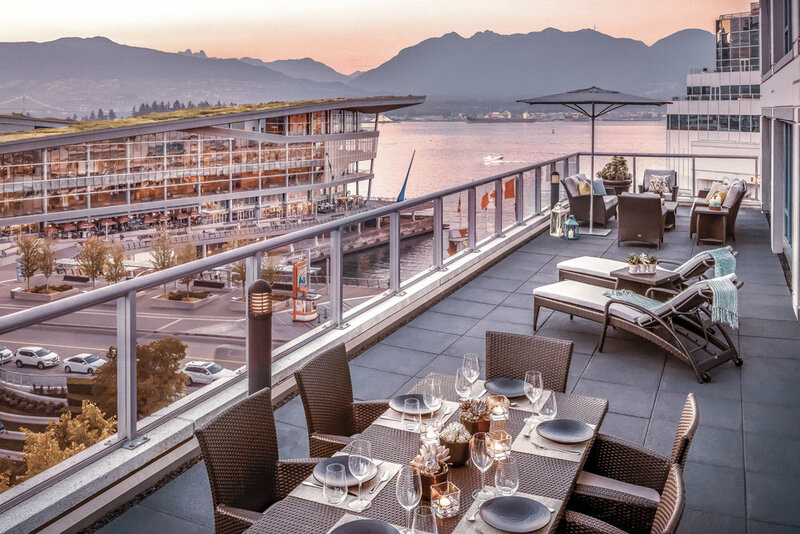 Set against a majestic backdrop of the harbour and the snow-capped North Shore mountains; the Fairmont Waterfront woos guests with all the charm and luxury indulgences that one can expect from a Fairmont. From the friendly concierge who greet you upon arrival, to the personalised bathroom products, the Fairmont Waterfront is the most luxurious hotel experience in Vancouver. This 23-story high-rise is ideally located beside the city’s cruise ship terminal and Vancouver Convention Centre and sits right on the forefront of the harbour. With Gastown, Chinatown and the famous Stanley Park all within walking distance, the Fairmont Waterfront is perfectly positioned for guests to explore Van City. 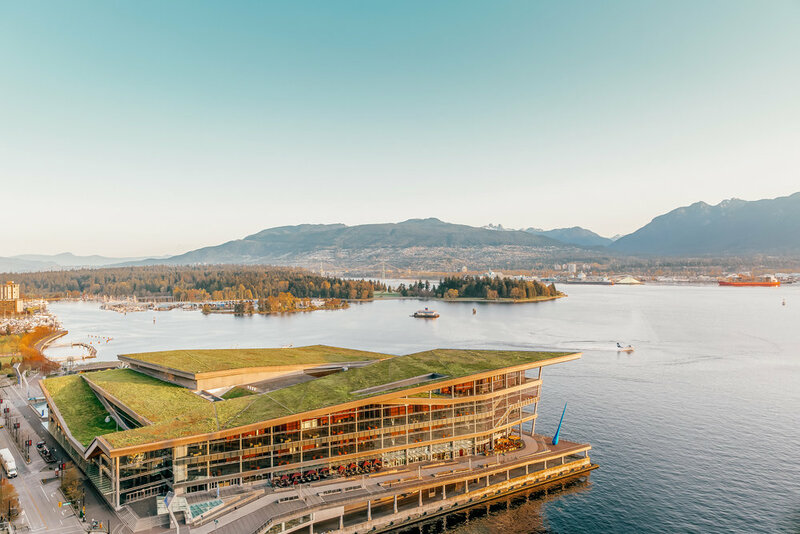 The Fairmont Waterfront is on an extraordinary initiative to become a certified, zero-waste facility, making it a leader in the green movement. Currently ranked as a ‘5 Green Key’ Hotel by Green Key Global, hotel proudly embraces the environment and sustainability. Not only does the hotel house their own rooftop herb garden; there are four beehives on the third floor terrace with 250,000 bees. The Fairmont offer tours for guests, educating them on the importance of the bees and sustainability. After staying here, its easy to see why Vancouver is likely to be the world’s greenest city by 2020. We spent a February weekend in a suite on the Gold Floor, where I sat by the floor-to-ceiling windows and gazed out at the most exquisite views over the harbour and watched the sea planes land. The bathroom featured an extravagant rain spa shower, terrycloth bathrobes and slippers, and personalised Le Labo toiletries…I have never experienced having my name printed on a toiletry product in my hotel room. It’s the special touches like this that truly make the Fairmont Waterfront a special place to stay. After a busy day of exploring the city, you can unwind at the health club, which features many enticing facilities, including an outdoor heated 50 ft. pool surrounded by the city high rises, an indoor whirlpool spa, steam rooms and a fitness centre. THE SCENERY – Let me tell you, those views are something else. The view from our window was ever-changing and captured the spectacular mountainous scenery over the harbour. I could sit by the window all afternoon and watch the snow fall. COMFORT – Having come off a long-haul flight, combined with being ill for the week before this trip, arriving at this world-renowned luxury hotel was heavenly. As we are heading off to Whistler for 5 days of skiing after our stay, and due to the beautiful but wintery conditions outside, we felt incredibly spoilt to be staying in such comfort. LOCATION – Considering how limited we were on time in this wonderful city, the fact that the Fairmont Waterfront is so centrally located in downtown Vancouver was perfect and provided us with a great base to explore the city. I was hosted as a guest of the Fairmont Waterfront, but all the opinions expressed in this article are, as always, my own.